Description: We take extra care when we create a directory in a web portal, for it alone brings forth many challenges. Templedarsan.com was one such web portal. 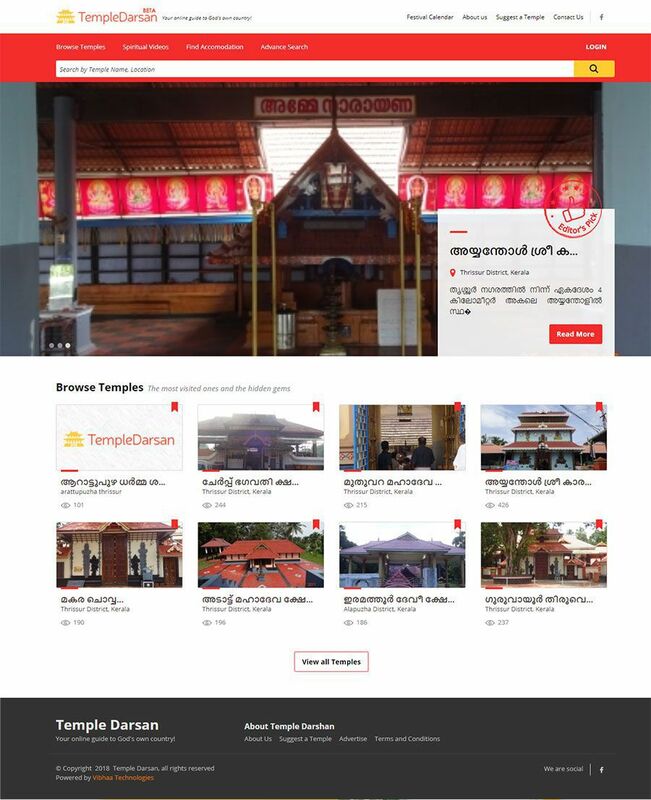 Webzao Innovations Inc. (Canada) approached us with a request for a web portal that provides information on temples and spiritual destinations, mainly of Kerala State. But that portal had to fulfill four challenging criteria. Hence, first we redesigned the existing, complicated web portal with lightweight and user-friendly UX design. Next, we integrated advanced security system and optimized the high speed loading. Then we added custom plugins and functionalities in the web portal to display related temples and search for more. Last, we enabled the client to have complete control over homepage content display. The web portal has been performing well and getting lots of visitors every day, ever since the launch of its new version. We can help you choose, purchase and deploy cloud servers best suited for your requirements. Boost your site loading speeds with optimised & secure content delivery! We provide digital solutions that aid in promoting as well as maintaining your business smoothly. Reach out to major audience online! Ask us for proven digital marketing techniques! Have any Requirements or Queries?